Former Winter Park city commission candidate Barbara Chandler and The Friends of West Winter Park hosted a lively sharing of ideas on Tuesday, March 26 at the Winter Park Community Center. Commission candidates Todd Weaver and Peter Weldon were invited to engage directly with West Side families, elders, community leaders and small business owners in a moderated question-and-answer forum. Despite Chandler’s insistence that the forum was not a debate, the candidates wasted no time throwing jabs and punches. Most of the questions for the candidates dealt either with minority representation or issues specific to the West Side, such as the CRA. Chandler’s frequent attempts to maintain decorum and her reminders to both candidates and audience to show proper respect fell victim to the emotion brought out by this hotly contested race. Be sure to vote April 9! Pretty sure Todd came out ahead on this debate or whatever it was called. I was surprised Pete had to refer back to his father’s early rise when speaking of his work ethic. What determines a good public servant however is one’s ability to work civilly with everyone including those you don’t agree with. Todd seems more qualified working with others. This is the first REAL debate of Winter Park City Commissioners in a generation! Congratulations to the Hannibal Square area residents for putting on a debate with REAL audience members asking REAL questions. No fake audience questions like the Chamber and Library debate where the organizers read questions off note cards and say the question was an audience member when really the debate organizers wrote the questions on the note cards. Thank you to the — WP Commission, Friends of West Winter Park, Barbara Chandler, Fairolyn Livingston, Mary Howard (who ran for WP Commissioner in 1985), and Holly Tannyhill (coordinator/host of the Rollins WPRK program, “A Dialogue with VOICE)” — for an worthwhile, elevated debate. Thank you to WPV for posting this and to Janet Hommel for the intro. Here’s a partial summary with quotes of the first 30 minutes – as an “anonymous” contribution and thank you to WPV and the great citizens who have worked so hard to create a vibrant, participatory democratic local culture in Winter Park. The questions were insightful and crucial. I learned a lot and want to watch it again because of what I learned from the depth, breadth, of the questions, as much as what I learned from the answers. The first question addressed why the residents of the City of WP has never had an elected member of government who is African American or of color. Mr. Weaver pointed out that people of color are a minority constituency in WP and blamed campaign financing laws that inequitably and unjustly favors corporate America over the citizenry. Mr. Weldon does not think there are any differences life experiences and values between people of color and white people. Mr. Weaver answered that he believes all people have unique life experiences, diverse values, and described growing up in an interracial culture in rural South Carolina. This wasn’t really an answer the question but revealed why he has an understanding of roots, place, and love of nature. Then, off topic, Mr. Weldon described how hard-working he was his entire life, and encouraged everyone in the room to follow his example and apply a strong work ethic to their lives. Neither seemed enthusiastic about single-member districting in WP. An important question addressed the timing of city commission meetings – during the work day. Mr. Weaver said he favored changing the time to one that supports public attendance, citing the runaway Canopy project, as an example of what happens when the larger community is not aware of and involved in participatory processes of democratic governance. Mr. Weldon said having the meetings at 3:30 pm were fine with him, but he’d be happy to change it to 5:30 or 9:30. When asked whether residents should be allowed to directly question commissioners or the mayor in public meetings, Mr. Weaver said no, but he would like more and better responses to the residents. Mr. Weldon said there is no rule governing direct questions but said said his attempts at direct interaction have only exacerbated “complaints” in public discussions; he added that he has and is willing to talk to residents personally on his cell phone. Both candidates agree that city commission meetings are very difficult, if not impossible to access on the City’s website. “The City can encourage…neighborhood advocacy in a…neutral way by providing to existing City resources like meeting rooms and standard City Hall mailings and notices. “City support for neighborhood input should include a requirement that the City Commission and Boards accept Neighborhood Advisory Board reports and provide an opportunity for Neighborhood Advisory Board members to speak at commission and board meetings. “Neighborhood Advisory Board member testimony would not be subject to Public Comment rules and limitations. “Create a seat at the table for a Neighborhood Advisory Board member/observer when City Hall meets to discuss development proposals and infrastructure in our neighborhood or when Comp Plan or CRA [Community Redevelopment Agency] changes are reconsidered. Mr. Weaver said he thinks it would work and cited his experience with the Lake Killarney Lake Board. He agreed with Mr. Weldon regarding the need for a Neighborhood Advisory Board to be in compliance with state Sunshine Laws. He said he has observed that CRA “has really gone south.” It has not helped African American businesses in Winter Park to flourish. He would like to get more input from the residents and think would be a good way. Mr. Weaver also addressed a question about the destruction of the character of the West Side neighborhood, including the demolition of single-family homes on the West Side by developers who are construction multi-family townhouses. The candidates were also asked why the mayor is the only person who is allowed to nominate members of city boards, which limits diversity. Mr. Weldon said this is an issue for the charter review process. He said he has no problems personally for the nomination power to be extended to the entire commission. Mr. Weaver definitely supports a charter change. He cited his experience on the Lakes Board. Former mayors (Terranova Strong) considered applicants recommended by commissioners. That was how Mr. Weaver got on the Lakes Board during the tenure of Mayor Strong, another commissioner nominated him. Apparently, the first question might have been a “trick” question. “Livingston, who leads walking tours of Hannibal Square, worries that most locals are unaware of the west side’s history — and have never heard of the pioneering trio of African-American activists who rallied support for incorporation of the city in 1887. “One, Gus Henderson, was editor of the Winter Park Advocate, one of the first black-owned newspapers in Florida. Two others, Walter B. Simpson and Frank R. Israel, were elected aldermen, becoming the first — and, so far, the only — African-Americans to hold local political office. “In 1997, Livingston received a Rhea Marsh and Dorothy Lockhart Smith Research Grant, awarded annually by the Rollins College Olin Library and the Winter Park Public Library to support research related to local history. “Livingston wrote A Window on Hannibal Square, which included biographies of Simpson and Israel. ‘The grant was a catalyst for change — not just for me, but for others who value history, truth and reconciliation,’ says Livingston, who attended all-black Hampton Junior College in Ocala before earning a liberal arts degree from Rollins. Very helpful post. Thanks to the author. I am surprised that the Residents of Winter Park have not yet rebelled against this Commission. Except for Commissioner Cooper and occasionally Commissioner Seidel, this Commission has done nothing to preserve the charm of Winter Park! Their only effort is to create a Concrete Park out of this little City we cherish! Full Disclosure: I prefer to use my real name and wish others would too when posting favorable and unfavorable comments, but defend the right to post anonymously (although I’m inclined to change my mind whenever I see too many personal character attacks, innuendo, and false statements under the name anonymous); Have lived in Winter Park for 30+ years and own residential properties including a commercial building on Orange Avenue; I have contributed and been involved in all of Pete Weldon’s campaigns in one way or another (have not always agreed with him); the same holds true for Mayors Bradley and Leary and Commissioner Sprinkle; I read but don’t contribute money to Winter Park Voice (my favorite contributor is Beth Hall) or Winter Park Perspective (favorite contributor is Pete Weldon); My email request asking to be included in Commissioner Cooper’s blog list has never been acknowledged; I have written unfavorable comments against a group known as the One Winter Parkers; The condo association I live at has prohibited B&Bs and I fully support their position; I supported Sun Rail (have yet to see criminals using it as a high-speed getaway after robbing local merchants, though); Have used the existing library yet support building a new more modern one at MLK Park per the agreed upon budget (not thrilled about the design, but can live with it); Am not in favor of spending more tax dollars to defend the voter approved bond referendum; I’m a member of the Historic Preservation Board (HPB) and my comments or political positions should not be construed as representing the board or its opinions. All in all, I love living in Winter Park! 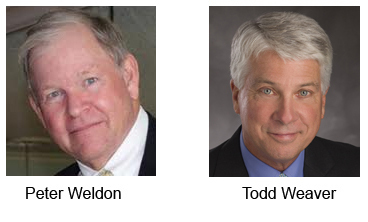 After attending the Chamber of Commerce sponsored debate between Todd Weaver and Commissioner Pete Weldon, I remember thinking that candidate Weaver was at a disadvantage since Commissioner Weldon had a few years of direct and personal experience with the duties of the job, however there were more debates ahead and plenty of time for the challenger to catch up, which is why I was anxious to watch the 1.5 hour video of the West Side Forum conducted by Former Winter Park city commission candidate Barbara Chandler and The Friends of West Winter Park. Sure, Commissioner Weldon can often come off as the ‘smartest person in the room’ but that should not negate that ‘facts do matter’ and candidate Weaver seemed sorely lacking in that area. Now, one can argue that facts are not the most important issue when voting for a candidate, but I would argue neither is pandering. Seems April 9th will provide us an opportunity to avoid the, “don’t confuse me with the facts I’ve already made up my mind” rationale in selecting the best candidate. After watching the video, I’m more comfortable than ever with my decision to support Pete. 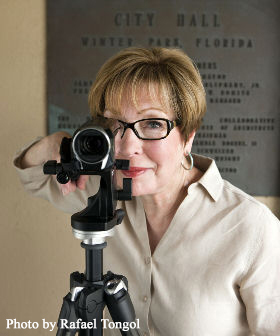 Regarding The Friends of West Winter Park, I found their comments & questions both rational and uninformed at times. Specifically, relative to the lack of West Side historic preservation by the City, there was no mention of the City Commission overturning an HPB recommendation to not approve a request for historic designation of a home on Lyman belonging to the family of a respected member of the African American community. And while each candidate agreed to continue the dialogue on issues like spending CRA money, single member districts, R1-A uplifts, board recommendations and diversity, I do not think continuing a discussion regarding speed bumps on Canton Avenue is warranted since I doubt we want the Fire Department or police slowing down to navigate a series of speed bumps on their way to an emergency on the West Side or any other location. That said, I do think more forums involving both sides of the railroad tracks will certainly help create a more unified community. Commissioner Weldon was NOT in favor of recognizing Reverend Hall’s home as a historically significant asset. He voted with Leary to deny recognition to the home. The home won recognition as a historic asset thanks to the votes of the majority on the issue: Commissioners Cooper, Seidel and Sprinkel. They overturned the denial by the Historic Preservation Board. Had Weldon had his way the home would have faded into obscurity. See City Commission Minutes from 10-24-2016. A Realtors’ PAC from Tallahassee sent out a huge 11 X 15 inch mailer this week that bragged about Weldon’s “results” including “fought to preserve our local historical sights.” Yes, facts do matter. Add that to the fact that he led the initiative to rescind a stronger historical preservation ordinance. Thanks to Weldon, charming Winter Park has one of the weakest historical ordinances in the state. If he were running against Steve Leary or Sarah Sprinkel; then yes, maybe he’d win, not because of his party affiliation, but because he’s a more accessible candidate. But most of the Republicans in my neighborhood have Todd Weaver signs in our yards and we are voting together for Mr. Weaver. The Orange Cnty Republicans need to learn that fiscal conservativism means not spending tens of millions in tax dollars on an unnecessary convention center, and new library. The current one is perfectly fine for a tiny town with only 10K library card holders. The Leary-Sprinkel-Weldon false narrative about Winter Park desperately needing bigger library has lost any legitimacy now that the facts have emerged that they were disguising their real agenda: an international tourist wedding venue at a convention center/library encircling a sinkhole/lake in Dr. Martin Luther King, Jr. Park.